It is clear that I have a Newton addiction (www.newtonrunning.com) I am already on pair number 4 and today I got an awesome deal on pair number 5. This will be the 3rd shoe purchase this year. But I have to delay the satisfaction of running in them to next year. 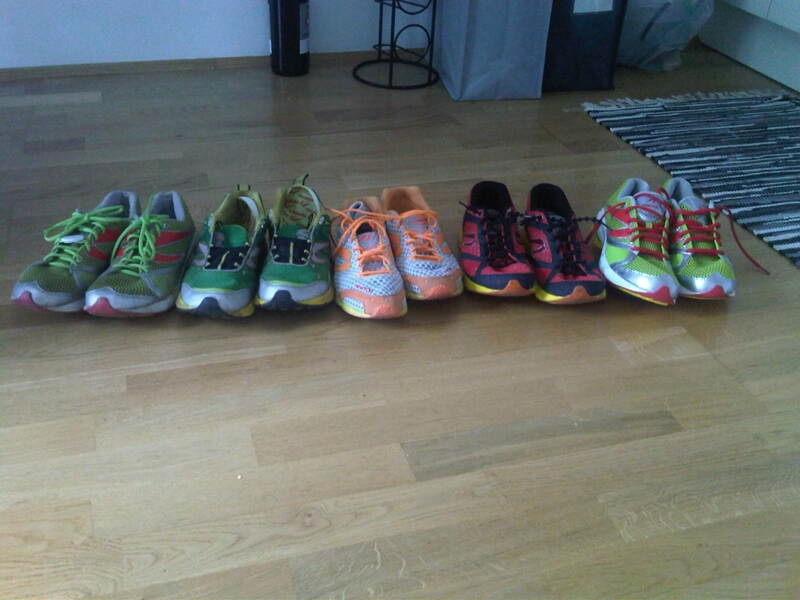 I could not resist the 90EUR price for some Distance Racers. But I think I rather get them now than having to spend a fortune on a new pair next year. Now I just need to find place to store them. My shoe rack is filling up. This entry was posted in Gear and tagged running. Bookmark the permalink.